Allergy, Asthma & Sinus Center is a medical practice that specializes in providing the best healthcare for patients suffering from breathing problems due to allergies, sinus, asthma or other medical conditions. Each of our providers value personalized attention, comprehensive care, and patient education. Our knowledgeable nursing staff provides expanded educational resources and materials about asthma, allergies and the services that we offer. Dr. Arun Kadambi was born in Pune, India where he received his Medical Degree from the University of Pune. He moved to the United States in 1988, and completed his Pediatrics residency at the Columbus-Cabrini Medical Center in Chicago, Illinois. He completed his Asthma, Allergy, and Immunology fellowship at the Medical College of Wisconsin. Over the next few years, he worked in pediatrics and allergy clinics across the United States, before settling down Kentucky in 1999. He joined Allergy & Asthma Physicians of Central Kentucky until 2008, when he opened Allergy, Asthma & Sinus Center in Lexington. 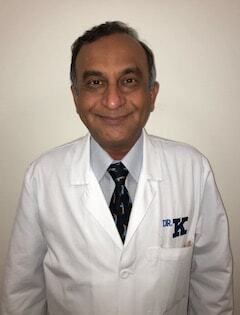 Dr. Kadambi is Board Certified in both Pediatrics and Allergy and Immunology. He is a member of the American Academy of Pediatrics, the American Medical Association, the Joint Council of Allergy, Asthma & Immunology, and the Fayette County Medical Society. He was also voted as Fellow of both the American Academy of Allergy, Asthma & Immunology (AAAAI) and the American College of Allergy, Asthma & Immunology (ACAAI). Leighann Barber is a native of Winchester, Kentucky. She completed her Bachelor’s in Nursing in 1999 from Eastern Kentucky University. After working at Baptist Health Lexington for 17 years as a staff nurse she followed her dreams of becoming a nurse practitioner and completed graduate school at Indiana Wesleyan University completing the Family Nurse Practitioner program with honors in 2015. In Leighann’s spare time she can be found participating and watching numerous sporting activities with her husband of 18 years and their three sons ages 9, 11, and 15. Leighann has a personal interest in the allergy and asthma specialty as her oldest son was diagnosed at a young age with asthma and has a severe peanut allergy. A native of Lexington, Kelley Hawkins completed her Bachelors of Science in Nursing from the University of Kentucky in 1997. 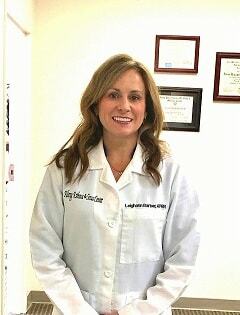 After 10 years of working as an RN in cardiac care at Central Baptist and working briefly as a clinical instructor in the associated degree nursing program at Lexington Community College, she returned to the University of Kentucky and obtained her Masters of Science in Nursing in 2009. She first joined AASC in December of 2009 and left for a brief stint with Baptist Health in 2011. We welcomed her back to AASC with open arms in September 2012. Kelley has a vested personal interest in the allergy field as her son suffers from severe food allergies. Patient education is emphasized in her plan of care for those affected by food, drug, or environmental allergies. 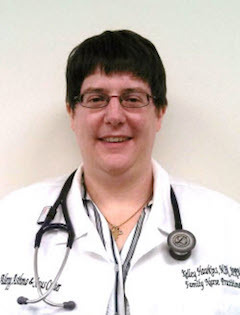 Kelley Hawkins, APRN, is a member of the Kentucky Coalition of Nurse Practitioners, the American Academy of Nurse Practitioners, Sigma Theta Tau International Honor Society of Nursing, and the American College of Allergy, Asthma & Immunology. Kristen is originally from Paducah, KY. She received her Bachelors of Science in Nursing from Samford University in 2006. She worked as a Registered Nurse at the University of Kentucky Hospital in the Post Anesthesia Care and Medical Intensive Care Units while working on her Masters degree. She received her Masters of Science in Nursing from the University of Kentucky in 2011. Before joining AASC in July 2013, Kristen worked at the Preop Anesthesia Clinic at the University of Kentucky and in the cardiology department of Saint Thomas Hospital in Nashville, TN. She is a member of American Academy of Nurse Practitioners, Sigma Theta Tau National Honor Society of Nursing, and the Kentucky Coalition of Nurse Practitioners and Nurse Midwives. In her free time, Kristen enjoys spending time with her son, daughter, and two miniature dachshunds. 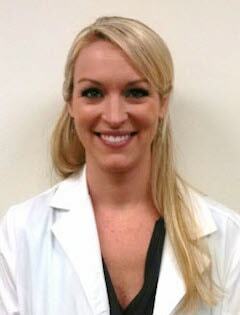 Kristen is a valuable asset to our clinical staff!